I should start this by saying that I don't own a Chromebook. But the more time that passes, the more I'm convinced that I should. I've played with a few, followed the development since the embryonic rumour stages, and have generally been a fan of the Chromebook since its launch. I just haven't taken the leap yet. But the gap is closing. I've been a Macbook user for about five years. Since moving over from Windows, I haven't looked back. That was a small jump in itself that brought plenty of benefits. And while the leap between my Mac and a potential Chromebook would be larger, I know the benefits would be greater still. Today we reported some (unofficial) stats which show that just 0.02 per cent of overall web traffic is coming from Chromebooks right now. Obviously that's not an encouraging number, but it's hardly a surprising one either. People just aren't ready to take a leap of faith. It's difficult to blame anyone - the market is rapidly changing shape and PC sales are in rapid decline. But while Microsoft tries to get a hold on the changing times, Google has slipped free and taken the initiative. And the time is coming when the Chromebook approach will make perfect sense. The biggest appeal of the Chromebook for me is also the feature that seems to terrify most people: its eternal reliance on an internet browser. The Chromebook is, and always has been, pegged as ahead of its time. The idea of hosting and accessing all our programs and documents online gives many people the heebie-jeebies. "But what if I lose my internet connection?" you cry. "None of my data is be safe!" you shout. But it's only scary until you really break down the facts. The truth is that most of our computer time is now spent in the browser, while I rarely find myself using my laptop without an internet connection. Google's main mistake with the Chromebook was its timing, in that not everyone has a decent internet connection. But we're moving closer to a point where almost everything will be done online, and when the Chromebook has 4G connectivity as standard it will be laughing. 4G is key for the Chromebook to take off. The first 4G LTE versions of the Pixel are available in the US and hopefully we'll see this continue to grow. At this point, the issue of internet connectivity will be no more of a problem than it is for our smartphones - but the benefits will continue to be huge. Installation times? Boot-up times? All a thing of the past, once the bloat is trimmed away. The browser experience is a lot better now, and as we use native software less and less, the Chromebook approach is starting to feel more and more relevant. And if I lose my connection half way through my work then it doesn't matter. With everything syncing in real time, everything I do is stored on the Cloud. Problem solved. As for those who really need offline, the recent update that allows for offline editing of Google Docs is a way of solving this problem. But Google shouldn't go the whole hog: it needs to remain patient that the all-in-browser experience will soon rule supreme. As someone who has moved from iTunes to Spotify, and from Microsoft Office to Google Docs, it seems that almost the entirety of my online experience is done through Google Chrome anyway. The next step seems obvious. Google could potentially (as it's been rumoured) bring Android OS to the Chromebook now that Android and Chrome are working under the same roof - but there's no real calling for it to do so. As long as we have nice seamless integration between the two then all will be fine, and Schmidt says that there will be a continued overlap. Sure, Chrome OS still has its faults, but Google will continue to weed these out. And when it comes to design, the Chromebook Pixel shows that Google is really serious. The netbook packs a 12.85-inch display which, yes, is even sharper than the Retina Display MacBook Pro. If Google can move forward placing as much emphasis on the design as the OS experience, then it will soon be difficult for people to make excuses. 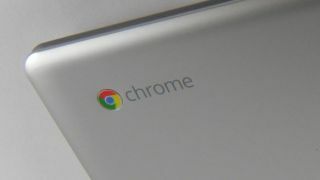 Google could also address the tablet issue by offering a Chromebook with a detachable keyboard. But with the addition of a keyboard and trackpad, the Chromebook is more capable than a tablet right now. That said, the Pixel is far too expensive, and without offline functionality it becomes unjustifiable to shell out a hefty amount. But bring that down and the Chromebook will start catching eyes. OK, so maybe this isn't the future for everyone, but for anyone like myself who finds themselves doing most of their work and play within the browser, the Chromebook is an increasingly appealing option, at least for a secondary device. And if Google does pack up the Chromebook and put it down as a failure, someone else will take the same concept and just do it their way. Either way, it's still the first to threaten everything we know, and when the idea catches on we'll look back and wonder why didn't make the jump sooner. One day we'll reach a point where going offline becomes the exception, not the rule. And that day isn't too far off.